View from the Cape: The Best of Migration - Cape May School of Birding Workshops! 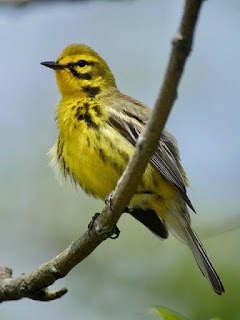 The Best of Migration - Cape May School of Birding Workshops! Cape May is world renowned for its fall bird and butterfly migration, involving spectacular numbers, diversity, views, and photographic opportunities - and Cape May School of Birding Workshops are an incredible way to enjoy and partake in this natural phenomenon. And the best part is – it’s all going to unfold over the next couple months! From our cadre of in-depth birding excursions to a celebration of Monarchs or bird photography, you’re sure to find an offering that catches your eye. 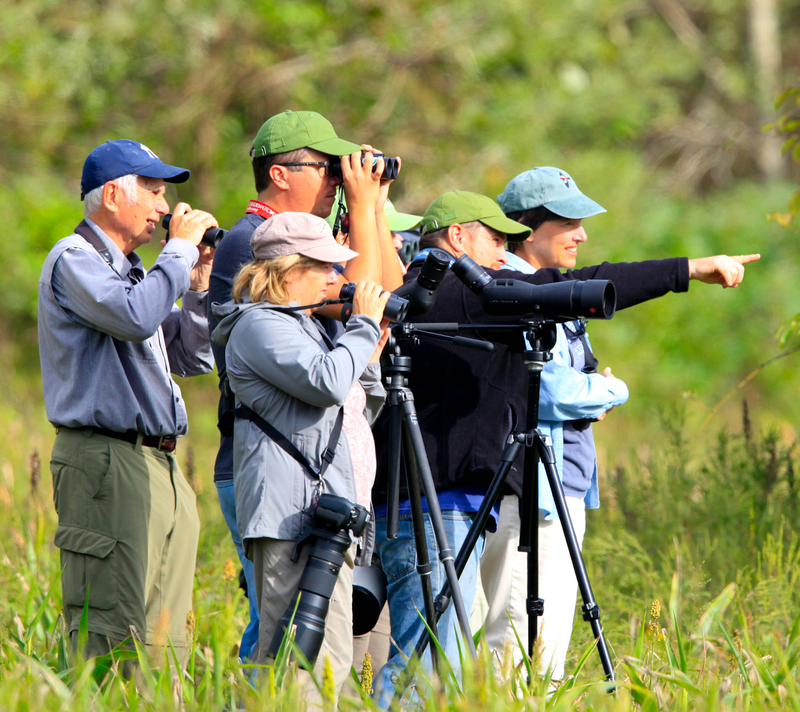 All of our workshops are led by experts in their field: world-class birders and naturalists that have often written the guides we all rely on (Pete Dunne, Michael O'Brien, Mark Garland, Louise Zemaitis, Scott Whittle). Our intimate approach to enjoyment and teaching will provide the opportunity and information you need to grow in understanding and appreciation. While the majority of time is spent in the field watching birds and nature, some of the workshops will incorporate an indoor session – a chance to demonstrate and discuss identification, techniques, conservation, and ecology. Along the way, you’ll meet like-minded people and are sure to form lasting memories and friendships. From beginner to advanced, all are welcome! All the while, your registration fees are helping support the mission of New Jersey Audubon’s Cape May Bird Observatory (and NJA and CMBO members receive a 25% discount!). Bird Cape May at the peak time for raptor diversity, with experts who know identification tips unavailable anywhere else! This workshop will be "just birding," no indoor workshop time (unless severe weather dictates otherwise) at the prime time to be in Cape May. Expect many falcons (including Peregrines), plus accipiters, buteos, harriers, ospreys and eagles. Though our aim will be to study and appreciate the sometimes spectacular passage of falcon species through Cape May at this time of year, we shall be in a prime location to enjoy other migrants too and, depending on the conditions, we may also seek shorebirds, late warblers, early sparrows, and more. Experience the cutting edge of birding! Birds don't sing much in the fall-but they sure do call. Chip notes, flight notes, and critical listening are the primary subjects of this workshop, led by the man who wrote the book (well, maybe the CD-ROM) on flight calls. Two hours with Michael equals years of struggle on your own! Includes optional night-time listening for nocturnal migrants. Learn to dissect a single note, determining whether it rises or falls, is clear or burry. You will never listen the same way again. This workshop is spread over two half-days to allow us to be in the field at the best time of day; it includes an afternoon session, evening session to study nocturnal migrants, followed by an early morning listening session the next day - the perfect way to learn the subject! Learn about the biology of the monarch butterfly and spend a day in the field with the Director of the CMBO Monarch Monitoring Project. 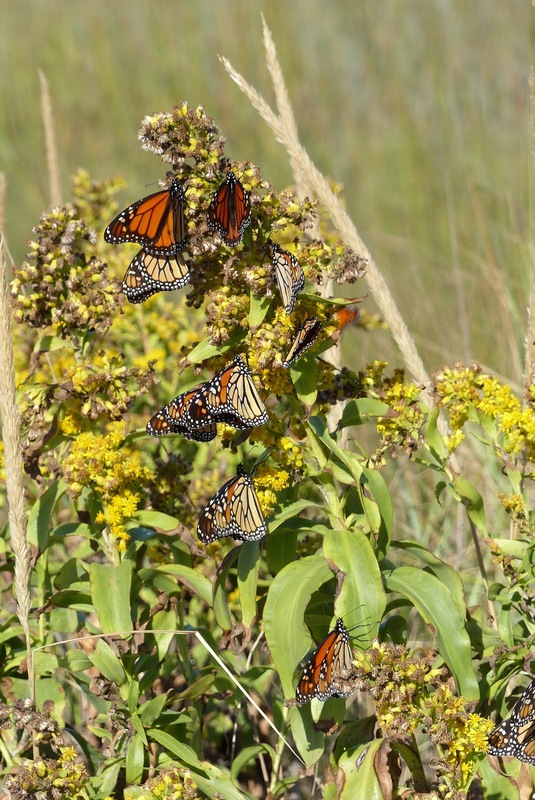 Visit gardens and other natural areas around Cape May Point to watch monarch behavior and see the principles of butterfly gardening in action. Learn how to safely handle and tag monarchs, and also learn methods for conducting field research into these migratory insects. Visit the CMBO Northwood Center to see the terraria where monarch caterpillars and chrysalides are on display, and learn about the proper husbandry of such displays. 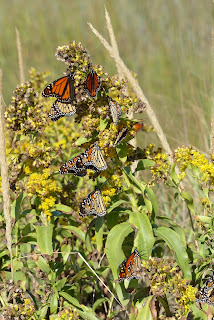 We will take time to identify many other butterflies that can be found at this season in Cape May Point, and we’ll identify a few of the migrant birds that are sure to be around, but the primary focus will be on monarch biology all day. A workshop celebrating the ‘LBJs’ (little brown jobs). Subtle and cryptic they might be; difficult to identify they are not, providing you have the right instructor, the right place and the right time. A time when lots of sparrows and lots of species abound. Common species like Swamp, Field, Savannah and Chipping. Uncommon ones like Clay-colored, Vesper, Lincoln’s, Nelson’s and Saltmarsh. Learn the basics of size, shape and behavior first, then practice examining plumage patterns to discover how stunning sparrows can be. Mid-October is the time the local birders wait for; crowds have diminished and the most massive fallouts of the season commonly occur NOW! Sparrows, kinglets, bluebirds, American Robin, Hermit Thrush, and literally who knows what else, since this week starts the season for vagrants in Cape May. It's also a great time for big raptors like buteos and Golden Eagle, while early seabird flights pass Avalon and Cape May Point nearly every day. At fifteen raptor species, this is the time of peak raptor diversity in Cape May. Perhaps including bonus birds like Golden Eagles and Swainson's Hawk! It is a rare moment during late October in Cape May when something raptorial is not in view. Learn how to tell buteos from accipiters from falcons from eagles at the very edge of eyesight. Pete Dunne co-wrote the book that is the title of this workshop, and the only thing he enjoys more than watching hawks is imparting the knowledge he has accumulated during his 15,000 hawk watching hours. 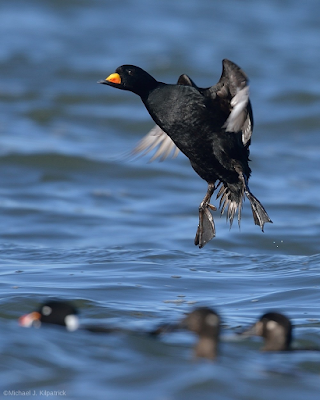 Accelerate your bird identification skills while learning how to photograph birds in Cape May. Photography can be an excellent tool for identification, as well as a way to convey the beauty of our experiences in the natural world. Professional photographer Scott Whittle will help you move toward your photographic goals in this workshop, with a focus on using the camera to look more closely at what we see.